I have decided to come home as I still can’t put my heel down and it would be foolish to risk further injury. 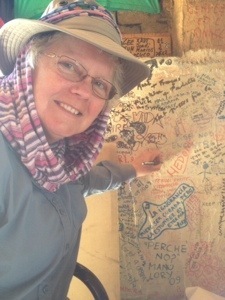 I’m disappointed but have had such a wonderful adventure in an amazing country and have met some fabulous people. Thank you to anyone who has followed this blog. Your support has encouraged me all the way. They say that you’re at your lowest ebb at 3a.m., which was when I realised that I had a painful and swollen heel, which I couldn’t lower to the floor. I had a “why me?” self-indulgent blubby moment before deciding to sort myself out. I took my sorry self, sleeping bag and i-pad into the next room and used Hotels.com to find and book a cheapish but well reviewed hotel for the next two nights. By the time Leone and Birgit were up I was sorted. They were so sweet to me as they left to join the boys for their walk today. I found my hotel and by 10 a.m. I was in my very comfortable room, with a beautiful view of the back of León Cathedral from the Juliet balcony. 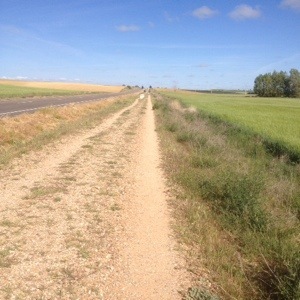 I saw the doctor later (thanks to Tourist Info) and was dealt with and bandaged and told not to “Camino” for three days. I Skyped Gerald and he gave me the benefit of his techie genius to find the Rome Tennis finals for me to watch in the afternoon. I’ll see how I am after tomorrow and make my plans then. 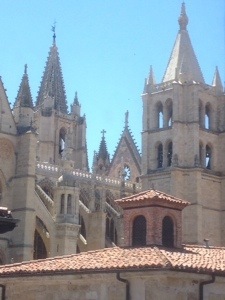 The photo below is the view of León Cathedral from my window. It’s bonkers when you think that 12m is a short walk. We weren’t hungry last night so we just had bread, cheese, sardines and some wine for dinner in the garden of the Albergue. The Hospitalera spends the evenings treating the feet of any peregrino in need. I took my turn and she spent some time sorting them out. Everyone has their own version of blister management, and she eschews the use of compeed. 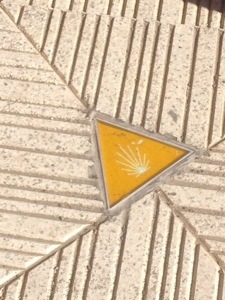 She uses a version that I like and she was able to treat and dress my blisters (including a ‘family’ of 5 on one heel). She gave me cream and extra dressings and wouldn’t take even a donation. When she had finished for the evening, she got a resounding round of applause from all the peregrinos in the garden area. 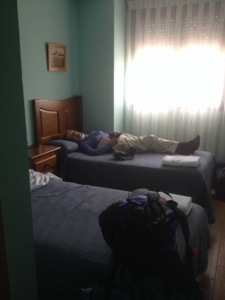 We had the worst night’s sleep so far on the Camino, with a smelly, snug room of 12 pilgrims. The window end was just 5 women and we had talked and agreed to keep the window open. Later a group of older, rowdy men joined us. They were very noisy and wanted the window closed. We resisted this and were glad, as later, when they were asleep (and no less noisy), the place was so stuffy. At 2a.m. One of them had a hissy fit and stropped over (in his underpants) to the window and bashed it shut. At 5.30a.m he was still complaining about the it. Birgit and I dressed and packed quickly and were on the road by 6.20. 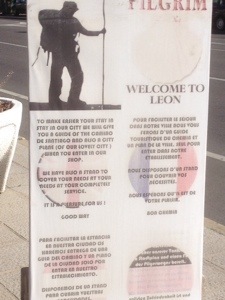 Leone had decided to bus the rest of the way to León. We thought no more about the men until later in the morning, just before León, when we saw them looking into a bush at the side of the track. They had spotted an injured young deer and were in the process of informing the authorities (who arrived very promptly) and guarding Bambi. So our frowns turned to smiles. All is forgiven, unless, of course, we share a dorm again. After starting out this morning, we walked 6k before finding a cafe with pain au chocolate for breakfast and then walked on all the way to León. 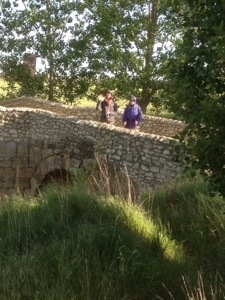 The early morning was cold enough for coat, gloves etc, but by 10.30, we were in shirtsleeves. 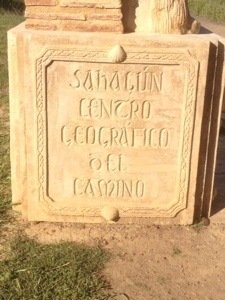 The route was mostly a track next to a very busy road and then through the streets of the city. 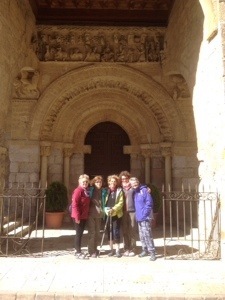 We arrived just after Leone at about 11.30 and were met at the gate of the convent by Richard and Canadian Francis. It was great to see them again. 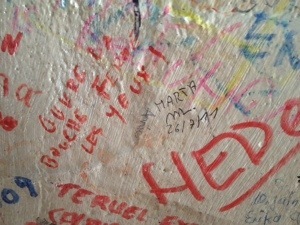 The queue for the Albergue was enormous. We spent some 35mins in the line before being shown to an all female dorm, where we three have beds next to each other, and both Leone and I have bottom bunks (gold dust). We hope to look around the rest of the old town and the cathedral before having dinner with the men tonight. 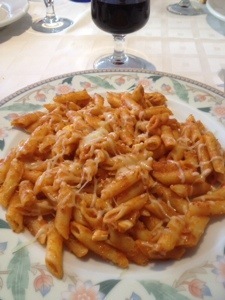 We three dined with Volker (German) last night and enjoyed a tasty meal. 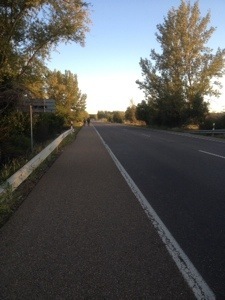 A young German man came in at about 7.30 as he had got lost in the afternoon and had traipsed across fields and along the motorway and had covered many more kms than necessary. 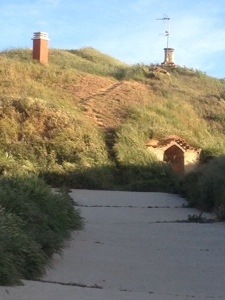 We had noticed that the usually reliable signage was confusing when two paths crossed. Leone and a man we met saved the day and we successfully navigated the bridge over the motorway and found the right path. I don’t know how I would have coped if we had had the bad luck of the poor young man. He looked totally exhausted. The path today was 24k with no stops or services, so we decided to have breakfast at the Albergue and took plenty of water with us. 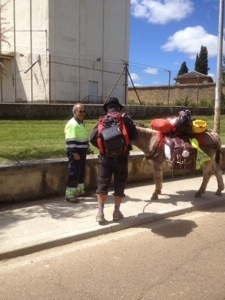 Leone ensured that we took breaks for water and rest at regular intervals. 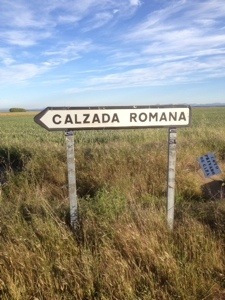 The path was on the Calzada Romana/Roman Road, and Brierley promised us, “no asphalt, no sendas, no town, no village, no farmyard, no house and 80% traffic free walking”. 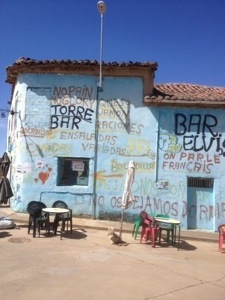 We crossed over to an alternate path at Reliegos and were so pleased as we found Bar Elvis, a surreal place and great fun. 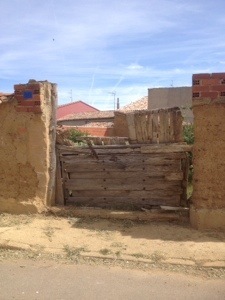 The last 5k into town were seemingly endless and when we reached our Albergue we had to convince the Hospitalera that we had ‘reservado camas’ as she was turning people away as they were ‘completo’. We showered, did our laundry and repaired to a bar down the street as the wifi wasn’t working (too many 20 something’s hogging it). When John Brierley described today’s route as “rough earth tracks across remote bush”, he wasn’t kidding. 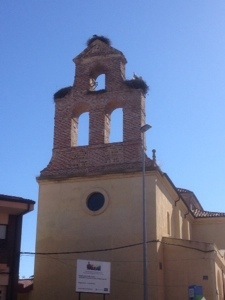 The morning was great, as we had an early start and there was a wonderful stop 3k out with a breakfast of brown bread rolls, butter and cheese (manna to pilgrims, this country, wonderful as it is, has a serious lack of brown bread) and then a stop in Sahagun for a hot drink. 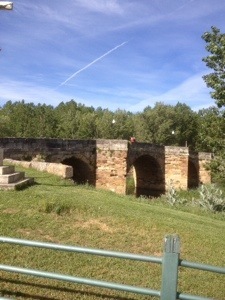 We had a very strong wind behind us for the a.m., pushing us across the senda with its force at times. The afternoon was another matter altogether. As we crossed the official halfway point, (where my initial joy was replaced with, bloody hell, I’ve got to do all that again), the wind dropped and the sun took the opportunity to do its worst on my poor feet. 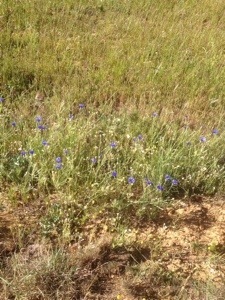 The track was rocky, stony and seemingly endless, with no shade to speak of. Birgit had booked us places in a private Albergue, so again we had no need to panic about no beds, but by the time we arrived, we were all contemplating the glories of taking the bus tomorrow. 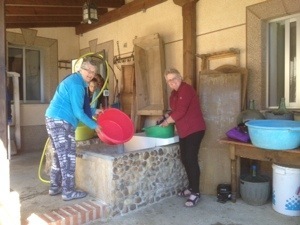 The Albergue is run by a wonderful lady who cannot do enough for us. 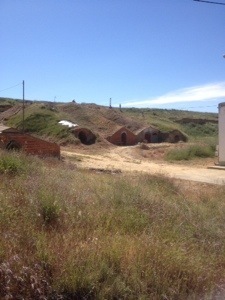 Leone and I have a shared room with a shower and Birgit is in a room of four with separate male and female facilities. It costs 15€ each! but we don’t care. 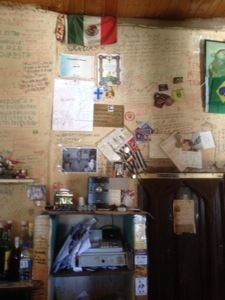 We feel like we’re in Albergue heaven. Maybe after a rest we’ll all be ok to walk on again tomorrow, we’ll see! Last night’s dinner was excellent. 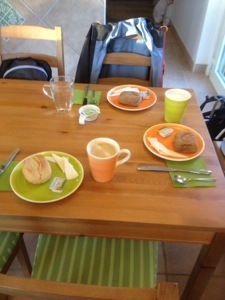 Suzy (German and having 2 rest days for awful blisters), suggested a restaurant with a Pilgrim menu for 11€. 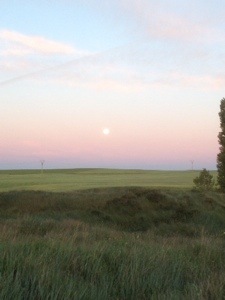 Five of us had the best meal we’ve had on the Camino, and the vino tinto was smooth and fabulous. May is Lebanese but has lived and taught in Canada for many years. She teaches four languages and gave me a great run down on the education system in her adopted country. We said our goodbyes this morning and went to the same restaurant as last night for our desayunos/breakfasts before hitting the road. The path today was 70% natural paths (with cobble type rocks that positioned themselves perfectly on the centre of my blisters, Camino paranoia or what). We took plenty of water with us as we had been warned that there were no stops or Fuentes/water fountains for the first 17k. The weather was much cooler (4C in the morning), with a strong blustery wind which was luckily behind us for most of the day. 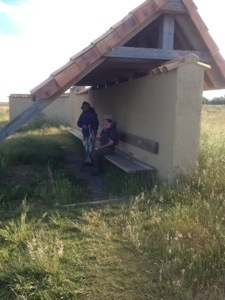 It was a slog to Caldadilla de la Cueza, where everyone stopped for a hot drink and a boots off rest. The land had been fairly featureless with a path through swathes of young corn for mile after mile. 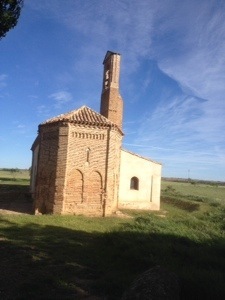 We moved on to an ice-cream stop at Ledigos, which gave us just enough oomph to make it to Terradillos. 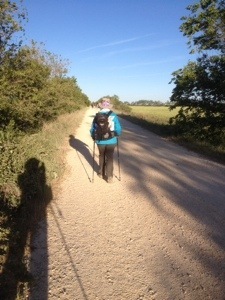 Birgit was amazing, considering that it’s her first day of walking for many days. Leone was on fire today. She had a new titanium hip 8 years ago and doesn’t let anything stop her, and she’s amazing at finding bars. 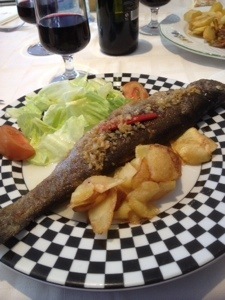 It was so good that Richard had booked three beds for us as the Albergue was “completo” when we arrived at 2pm. 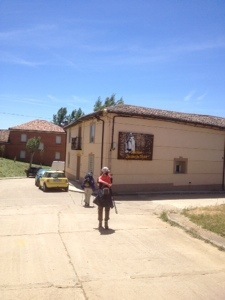 A poor woman who we consider to have the worst/best blisters on the Camino had to get a taxi to the next village. 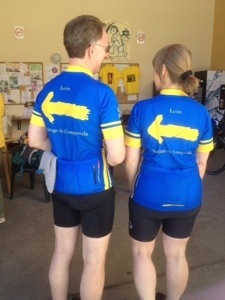 Today we are officially at the halfway point between St Jean Pied de Port and Santiago. 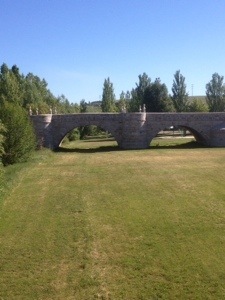 The post dawn walk was beautiful for the first hour, alongside the Canal de Castilla, with birdsong and a lonesome cuckoo as my company. 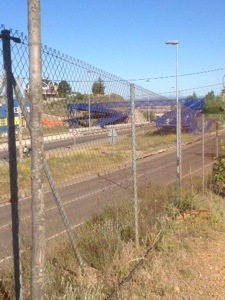 The final 18k were on what Brierley calls either “the soulless senda”, or “pilgrim autopistas”, which consists of a track next to a busy road for mile after mile. Birgit had bussed to Carrión and had booked beds for Leone and I (Leone wanted to leave later today), so we had no concerns about finding somewhere to sleep. 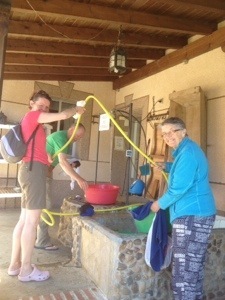 The San Vincente de Paul nuns run a wonderful Albergue, with separate dorms and facilities for men and women. A huge plus is that all the beds are ordinary single beds, no bunks! We have three injured women in our dorm with torn ligaments and other leg injuries. 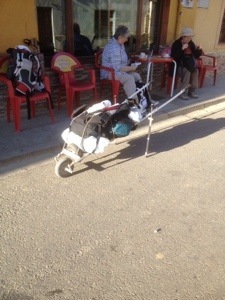 One of them had hired a bike in Burgos, and the other two are holed up here for a few days and hoping to walk then. My blisters are nothing compared to what they are going through. They are all so positive and cheerful and inspirational. 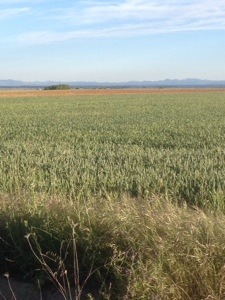 The first 18k tomorrow has no facilities or stops, so we will buy provisions before our dinner tonight. 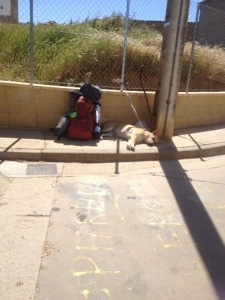 Birgit will send her pack on with Jacotrans and will attempt the walk with us.